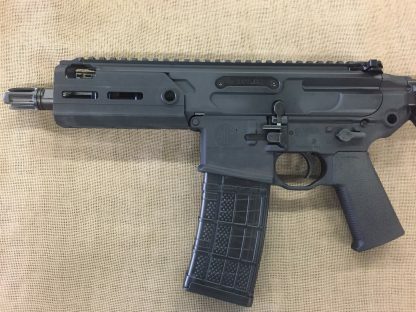 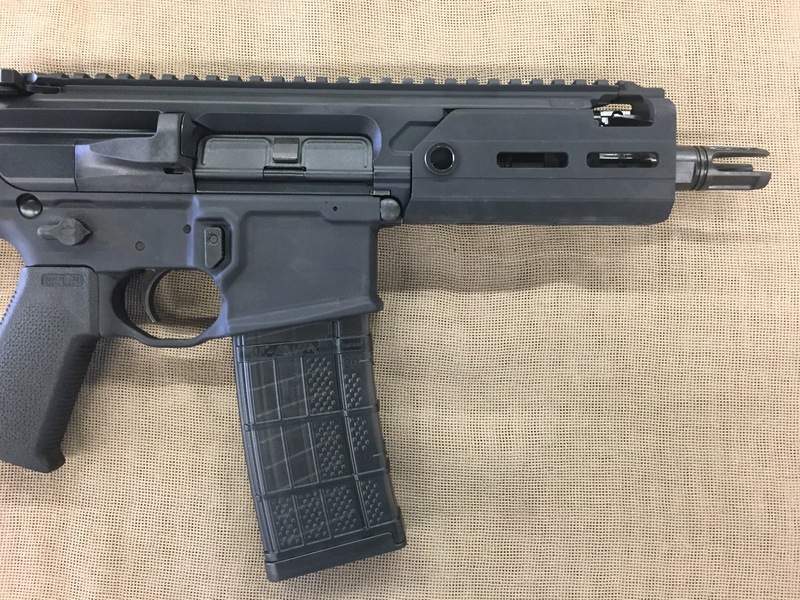 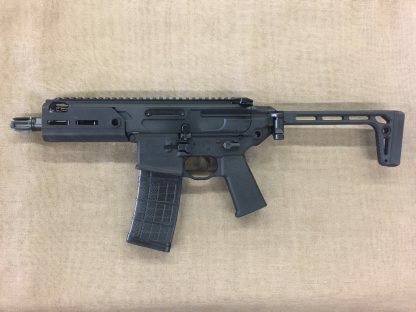 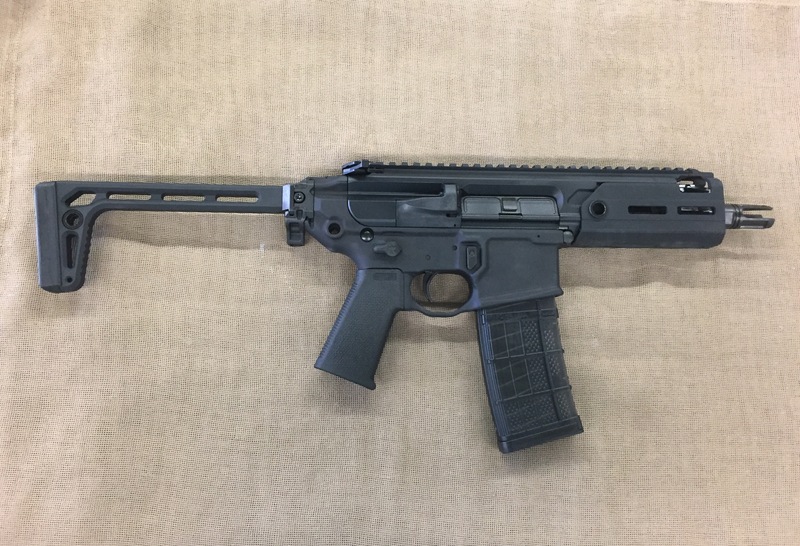 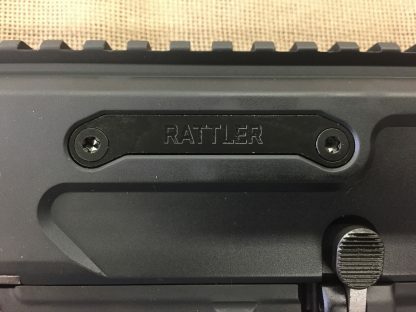 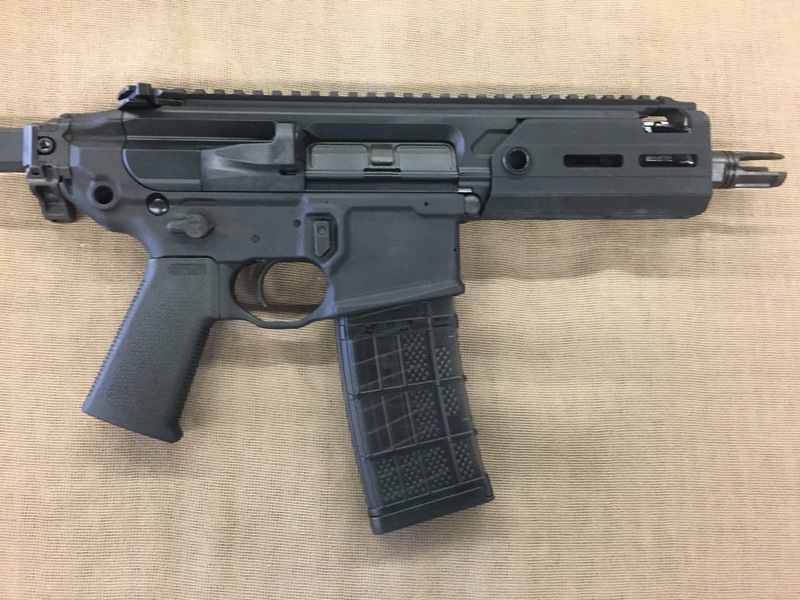 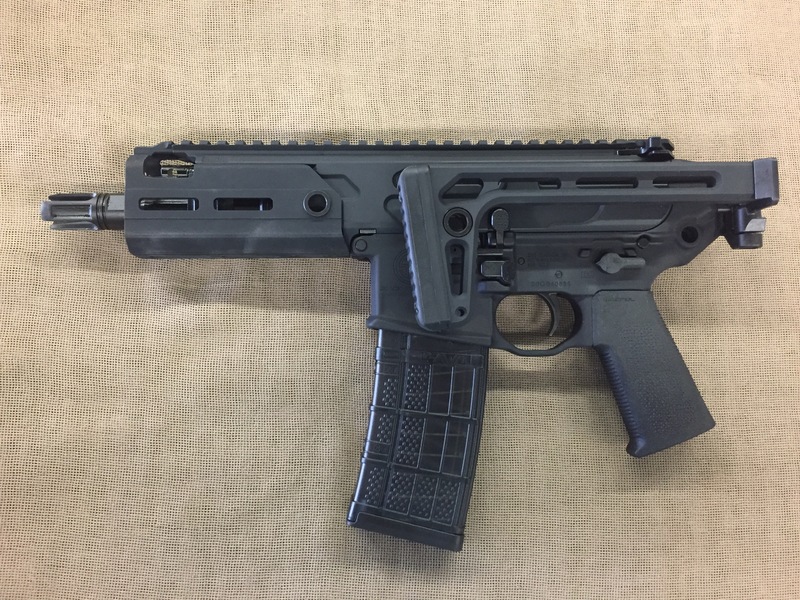 New Sig Sauer MCX Rattler SBR in .300 Blackout. 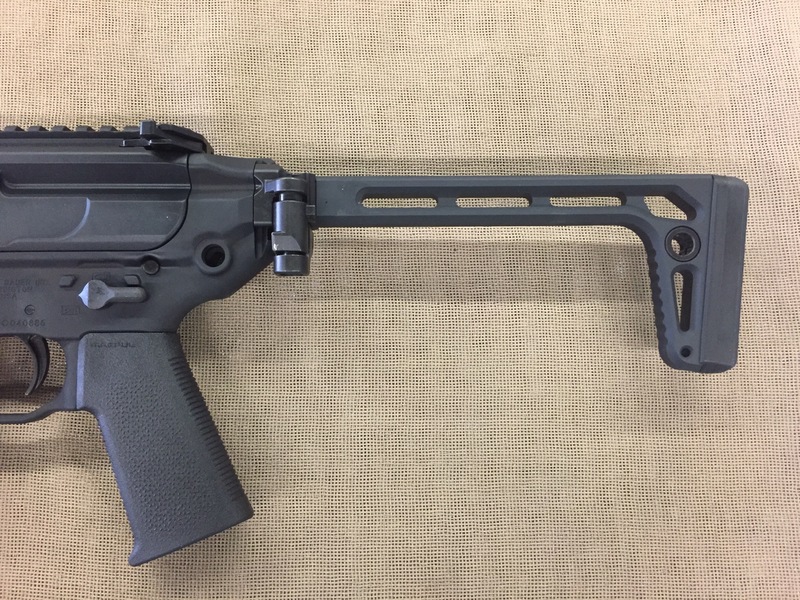 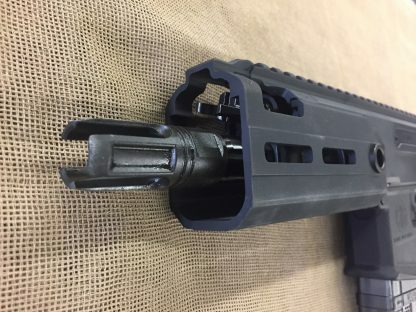 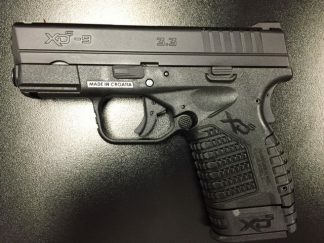 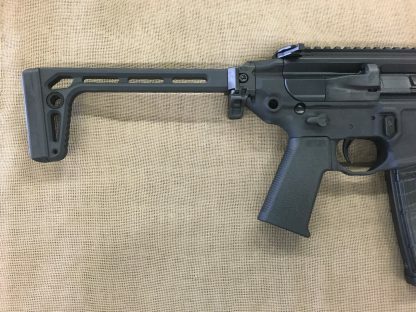 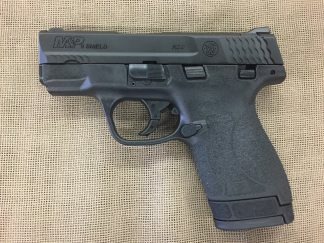 30 rd capacity magazine, 5.5″ cold hammer forged barrel, adjustable gas piston design with unique recoil system that eliminates use of a buffer tube, side-folding stock, PDW upper with aluminum MLOK hand guard, PDW pistol grip with ambidextrous fire control and charging handle, upper receiver with replaceable wear points. 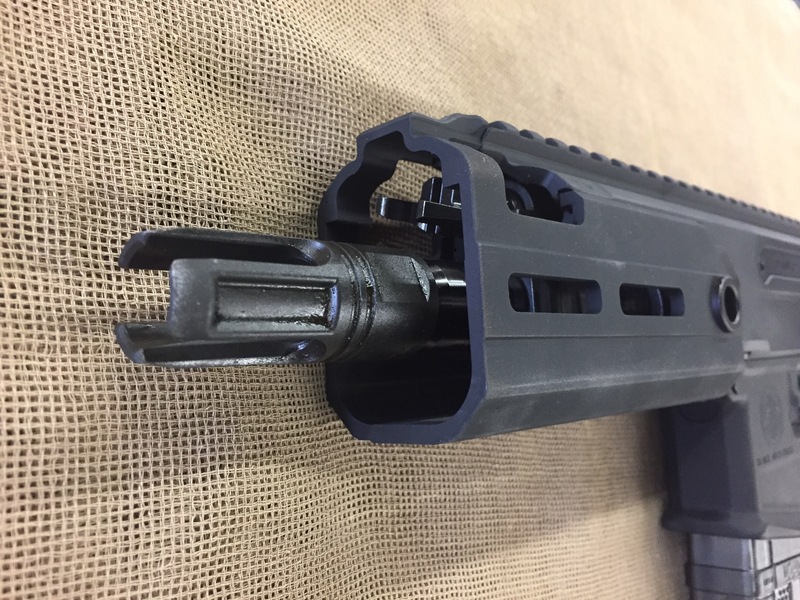 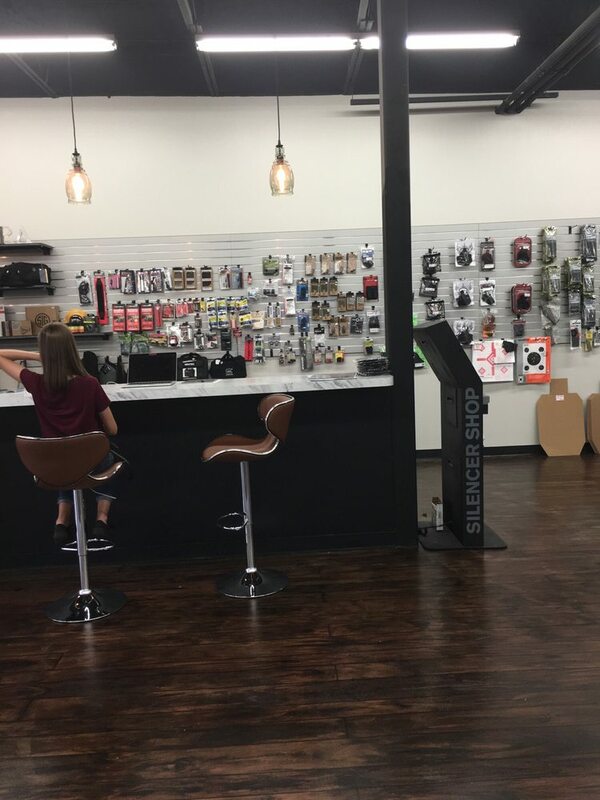 Envisioned and designed from the start as a truly modular weapon system that will run reliably with or without a suppressor.